For lovers of golf, Lucas Fox offers this villa located in one of the most renowned private luxury developments in Valencia, just 30 km from the centre and just 20 km from Valencia Airport. 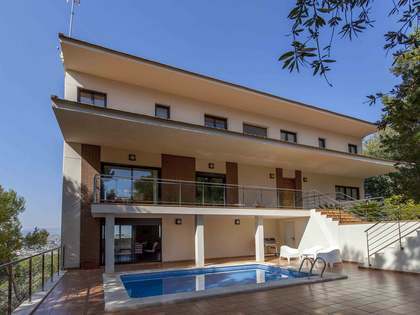 El Bosque has an 18-hole golf club and in front of it is this fabulous modern villa on a plot of 1,000m² with a built area of 255m² and exquisite contemporary furnishings. 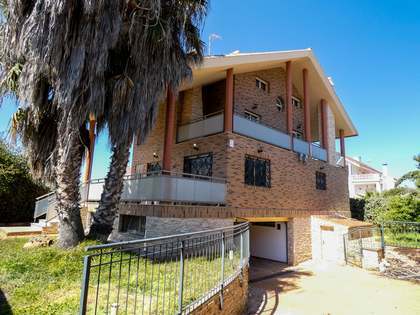 Upon entering the house we see the first level with a covered parking area for 2 cars. The entrance reveals a small hall overlooking the double height living room that leads into the sleeping area with a master bedroom with dressing room and bathroom with access to a terrace overlooking the countryside, 2 double bedrooms and a bathroom. 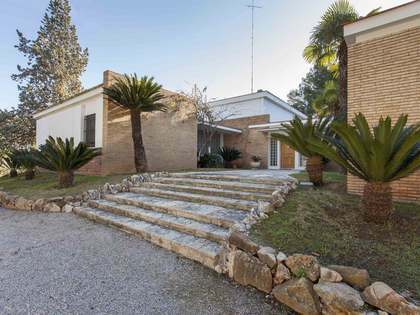 A modern staircase takes us downstairs where a cosy living room gives way to the garden with pool and spectacular views of El Bosque and its golf course. 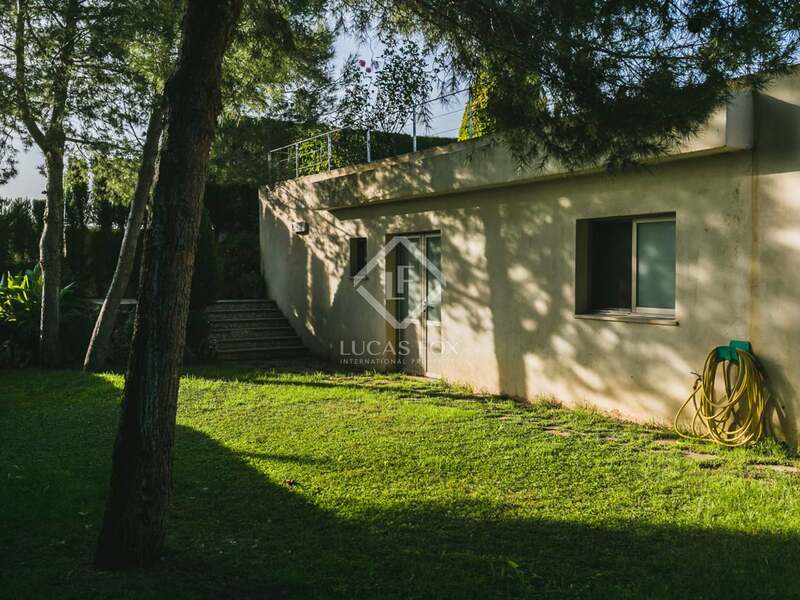 On the covered terrace we can enjoy nature and the pool and at the end of the garden a great barbecue with two impressive pines complete this luxury home. El Bosque is a gated residential area with 24-hour security and excusive access for residents. 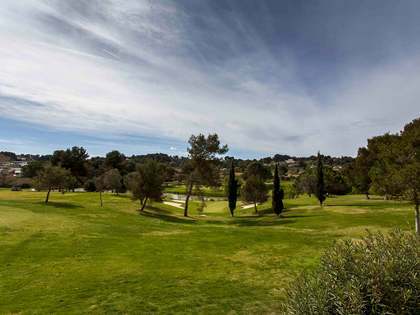 The property is located right in front of the 18-hole golf course with its private club, school, tennis club, horseriding club and school, semi-olympic pool and many other services. A prestigious, well-known club in Valencia. 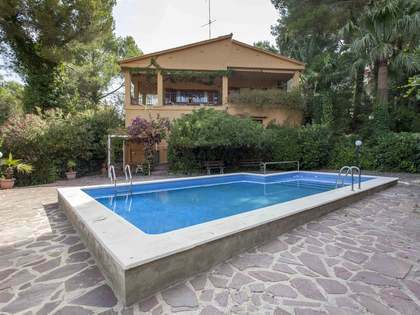 Just 19 km from Valencia Airport and 40 km from the main beaches.